For most people who experience hearing loss, the condition comes on gradually over a period of years. 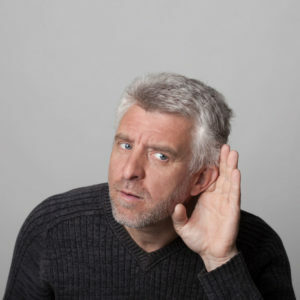 In rare cases, an abrupt loss of hearing occurs with little or no warning. This condition, known as sudden sensorineural hearing loss (SSHL), is defined as a hearing reduction of 30 dB or greater over three contiguous frequencies, occurring over a period of 72 hours or less. Ninety percent of cases result in unilateral (single-sided) hearing loss, which may be accompanied by dizziness or tinnitus.